What if you could tell whether a woman was attracted to you every single time? That’s one super power every man would want to have. Sadly, there isn’t any magic pill you can pop to give you such powers, but you can learn to spot the subtle signs women throw your way when they’re attracted to you. Chances are, you might have missed opportunities with pretty girls simply because you never noticed these signals. Research on nonverbal behaviors women use to show interest in men has been going on for decades. One of the oldest tricks -- hair tossing stands out. Seductively tossing and briefly stroking her hair is one of the signs that a woman likes you. However, if she continuously plays with her hair, she could be nervous or in doubt. Lip licking is another unconscious gesture that women engage in to show their interest in a man. Her intention usually is to get your attention to her lips, probably suggesting that she wouldn’t mind a kiss some time. Be careful with how you interpret this gesture to avoid embarrassing yourself. Licking her lips occasionally could mean she is into you. However, frequent lip licking can be just an awful habit! It is important to combine this gesture with other behaviors before you make any conclusions. In most cases, being physically close to someone can increase your intimacy. Be on the lookout when a woman makes deliberate efforts to move close to you. She could be attracted to you hence making efforts to lure you into liking her more. Relax and allow her to make the first move. Avoid invading her personal space suddenly just in case you read the signs wrong. Once you are able to strike a conversation, try sharing information about yourself with her. Be optimistic and less personal in the beginning to avoid scaring her off. One of the signs a woman is attracted to you is her willingness to open up and share information about herself. Naturally, both men and women tend to open up to people they like. Sharing personal stories and experiences helps increase your level of connection and intimacy. A woman with her body turned away from you especially at a right angle is clearly telling you that she is not interested. Another stance that screams she is not interested in a conversation is when she crosses her arms or leans away from you. In the other hand, open poses like turning her body towards you, keeping her arms open, or leaning towards you suggest that she is willing to let you in. Imitation has to be the sincerest form of flattery. A woman who likes you will try to copy your moves. She will reach for her glass, adjust her sitting position or even touch her head immediately after you do it. You could use this information to your advantage. She will feel more at ease if you imitate her. She may interpret it as similarity between the two of you, which could work in your favor. Just avoid being obvious for overdoing it may end up offending her. This simply means tilting the head to one side. A list of signs a woman is attracted to you has to include this common nonverbal behavior. It has been widely investigated and described by scientists over time. You may have caught a woman’s attention if she tilts her head to expose the neck and smiles at the same time. Head canting can be very attractive to men especially if it is combined with eye play. Eye play has always been a powerful mode of communication. Prolonged eye contact can either mean hostility or interest. Women all over the world use this powerful tool. If she steals glances at you every now and then, she could be interested. If she makes eye contact only once, then there is nothing. Do not struggle to get this signal the first time. Research shows that a woman will try several times since men take time to pick it up. When a woman likes you, you will constantly linger in her mind. She might not talk to you, but she will hang around you all the time. 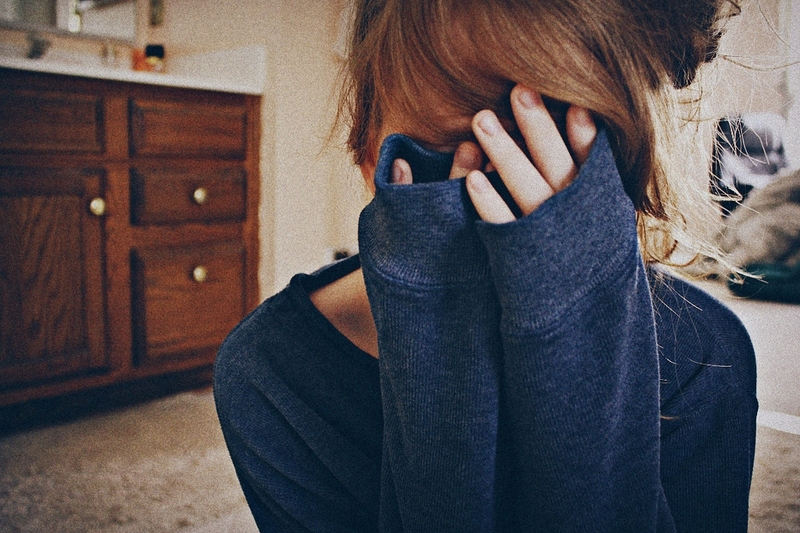 If she is the shy type or she is uncertain of what you feel towards her, she will admire you from a distance. She might ignore you but try to catch your attention by speaking loudly or sitting alone to allow you to approach. If the feeling is mutual, smile and even maintain long eye contact. If she reciprocates, it is a positive sign. If she is into you, she will see the positive side of everything you do. As long as the joke comes from you, it is funny. If it is extremely terrible, she will do something to look like she is enjoying it. She may groan or roll her eyes but smile thereafter. Being playful is common among people who like each other. The fact that you are trying to make her laugh means you like her. Laughing at almost everything you say is her simple way of saying she likes you too. She will look for every reason to touch you. Casual hugs, standing a little closer, brushing against you as she passes, placing her hand on yours as she makes a point, and finding lint to brush off your clothes are some of the signs a woman is attracted to you. She will lean closer if you are reading a book or looking at a computer screen, hit you playfully, or pat or punch you hoping that you will try to stop her. A girl who’s interested in you will grab any opportunity available to have you help her. She will ask you to carry stuff for her or have you help her out with a project. She will even go to the extent of pretending she doesn’t know how to do something so that you can chip in. She is only seeking your attention. She wants you to spend more time with her. This is a great opportunity for you to strike a conversation if you like her. Server responsed at: 04/19/2019 10:55 a.m.